The year 2018 marks the arrival of 69th Republic day of India. In its journey so far, agriculture and allied sector has played and will continue to play a significant role in providing employment and sustainable livelihoods for the growing population in India. Over 58 per cent of the rural households depend on agriculture as their principal means of livelihood. As per the 2nd revised estimates by the Central Statistics Office (CSO), the share of agriculture and allied sectors (including agriculture, livestock, forestry and fishery) is estimated to be 17.3 per cent of the Gross Value Added (GVA) during 2016-17 at 2011-12 prices. The pattern of agricultural holdings and the profile of agricultural households in India indicate that there is a dominance of small farmers and small farm holdings in the agricultural sector, who are highly indebted and are vulnerable to shocks and poverty. In line with other economic activities, agriculture entails various risks attached with it owing to issues of inputs, market prices, credit and other policy domains. Managing and reducing these risks can increase the incomes, profitability and ensure stable income flows to the farmers. The Survey of 2016-17 had suggested several corrective measures aimed at solving farm sector issues. It was suggested to have a check on the skewed distribution of fertilizer subsidies, pricing policies and the resultant imbalances in the usage of fertilizers to retain the soil fertility. Dealing with the issues of water stress requires promotion and shifting to efficient water usage, micro irrigation techniques like drip and sprinkler irrigation. Effective use of weather/climate forecasts along with advanced IT and communication techniques can come handy for mitigating the weather related risks. Catering to the risks posed by price fluctuations and existing market mechanism, the solution lies in shifting to new seed varieties that have a longer shelf life and a shorter maturity time. Expanding the domain of formal sources of credit to the marginalized and distressed farmers uniformly throughout the country can help them move out of the vicious cycle of debt trap. The minimum support price (MSP) backed procurement of crops by Government agencies, intends to benefit the farmers directly. To make farming remunerative, Direct Benefit transfer(DBT) of inputs would be of great help to the farmers. The Survey also focused on removing the restrictions on internal trade on agricultural commodities and dismantling the fragmented legislations governing agriculture to let the real benefits flow down to the farmers sitting at the base of the pyramid. The stock limits imposed under Essential Commodities Act, 1955 ended up curtailing demand for farm produce. It was suggested to carry out the rationalisation of this limit to cover the price fluctuation risks. The last three fiscals have witnessed the Government taking action towards many of these gaps and irregularities. Addressing the deteriorating soil fertility affecting agricultural yield, the soil health card initiative and the Direct Benefit Transfer on fertilizers were introduced. There has been a substantial increase in the availability of certified quality seeds for wheat, paddy, barley, maize and potato over the previous year records. Targeting water stress and irrigation related risks, micro irrigation system was introduced on a pilot basis. The result was found to be favorable across many states covering Rajasthan, Odisha & Haryana. Owing to the price risks, farmers are encouraged to adopt a stable pattern of sowing so that in the long run, they receive a stable price of the produce. Promoting the formal credit market, the corpus of Long term Rural Credit Fund of NABARD was increased to Rs. 15,000 crore in 2016-17. Under the Interest Subvention Scheme (ISS) in 2016-17, farmers availed crop loans up to Rs. 3 lakh at 7 per cent interest and the effective rate of interest was lowered to 4 percent for those who repaid their loans promptly. 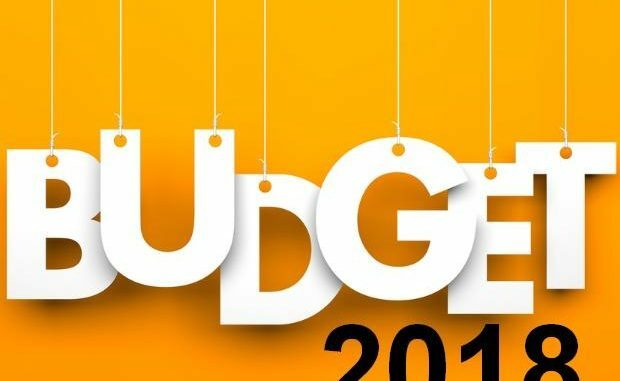 Union Budget 2017-18 gave a push to market reforms in agriculture, increased funding for crop insurance and had set a higher target for farm credit by announcing a whopping Rs. 1 lakh crore increase in credit target. It was announced to increase the coverage under Fasal Bima Yojana by additional 10% of the cropped area compared to the previous fiscal. The Long Term Irrigation Fund, NABARD was announced to be augmented by 100% to improve the access to irrigation. Centre had urged the state Governments to delist perishables such as vegetables and fruits from the Agricultural Produce Market Committee (APMC) domain allowing the farmers to sell these commodities directly to consumers and earn a better price. Expanding the coverage of National Agricultural Market (e-NAM) was announced from 250 markets to 585 APMCs. It was announced to create dedicated micro irrigation funds and dairy processing funds. In line with the soil health card, setting up of mini labs was announced across all the Krishi Vigyan Kendras for soil testing. It als0 proposed a model law on contract farming to be shared and discussed with the states. • Private players should be incentivised to deploy modern technologies in weather/climate related predictions and forecasts which along with advanced research backed cropping pattern can help to minimise the unexpected farm losses. • To enhance productivity, a well-designed foolproof mechanism for implementation of genetically modified crops should be established. • Incentives to increase coverage of crop insurance and inviting insurance companies to develop innovative insurance products for the sector and government providing cover would be further welcome with safeguards related to claim processing. • Greater investments in storage facilities and establishment of cold chains would be another expectation from the budget towards reducing food wastage. • Policy measures to promote institutional arrangements such as contract farming, producers’ organisations, and cooperatives that provide farmers easy access to markets, distribute price risks, and reduce marketing and transaction costs would be very welcome. • An expansion of the coverage of National Agricultural Market (e-NAM) and contract farming related announcements will be very welcome. It is very important that farm sector stress is addressed by the government earnestly as it would have a virtuous impact on the overall economy of the country as well as on the social fabric of the country.